The HTC Wildfire S was designed (or at least commercialized) with the moto of “Live it, Love it, Share it”, and HTC goes as far as calling it a “superphone that lets you share Everything”. On paper, it looks good: 5 Megapixel camera, social network connectivity, a huge library of apps… But on the inside, the HTC Wildfire S has a seemingly underpowered 600Mhz single-core processor with 512MB of RAM. Of course, raw power doesn’t automatically translate to great user experience, but it often contributes a lot to it. So, is the HTC Wildfire S a “superphone”? In this review, I’m going to show you the strengths and weaknesses of this smartphone. Ready? We all use our phones in a different ways, that’s why I find it more useful to tell you what I do with them, so that you can understand where I come from and why I like, or dislike, certain features and designs. I check my email quite often (with Microsoft Exchange), and I reply only moderately because virtual keyboards are not as productive as physical ones. I browse the web shortly many times a day to check on news sites, but I rarely watch movies or play music. I don’t call much – maybe 10mn a day, if at all. On the “apps” side, I use a couple of social networks, but I rarely play games. The HTC Wildfire S is a cutie, there’s no denying it. Each time I show this phone, I get a “wow, what is this cute cellphone” reaction from people around. And I agree, this smartphone is really nice, and in some ways it reminds me of the white MyTouch from T-Mobile, but it is better built, with better materials. The original MyTouch had a shiny plastic that made it look a bit cheap. The Wildfire S has mat finish and a painted aluminum finish on some parts which makes it look classier. From an ergonomic standpoint, I really like how accessible the Power and Volume buttons are easy to find and to click on. I always use the Power button dozens of times a day, so it’s a big deal to me. At 105g, the HTC Wildfire S is very light by smartphone standards, but that’s because it is very small. The size can be a quality for those who want something compact and discrete, but it also reduces virtual keyboard productivity significantly. It is also harder to integrate fast hardware in a phone that is so small. On the back, you will find a 5 Megapixel camera equipped with a single LED flashlight. Next to it, there is a speaker that can be used on speaker-phone mode, or to watch movies. The HTC wildfire has a 320×480 low-resolution display. I haven’t used one of those for a while, but this is equal to the iPhone 3GS resolution, so I guess that a lot of people may be just fine with this. The resolution itself isn’t bad at all when you are looking at the user interface, but text from emails and in web sites, is not as clear and sharp as they would be with a higher-resolution display. In case you’re unsure if this would work for you, compare a recent 480×800 phone with an iPhone 3GS, or go check the Wildfire S in a store. The display is one of the most important aspects of a phone, so make sure that you are comfortable with it. Call Audio Quality (Good): The call audio quality is pretty decent. The sound is clear, but I’m only qualifying it as “good” (versus “very good”) because the sound isn’t very loud. That said, I think that most people will be pleased with the sound quality. Now, this may vary depending on network conditions, but the phone itself can’t do much about that. Dialing / contacts (OK): Dialing a number is easy with the virtual dialpad, but don’t look for a Contacts app icon – you won’t find it. You have to access the contacts from the phone app. You can either scroll down the list, or use the virtual numeric pad to enter the first few letters of the contact name. It’s not bad, but I usually like a search box and a qwerty keyboard. That said, this was probably the best option for HTC given the small size of the phone. Web Browsing (average): Web browsing on Mobile Sites works very well. The usual sites that I visit (Ubergizmo, CNN, Y! Finance…) displayed without any issues. However, because of the low-resolution of the display, full-size websites are simply not readable without zooming in. Flash Support (too slow): indeed, there is Flash support, but the Flash performance is so low that I would not consider it to be useful. Although QWERTY smartphones are on the decline, most killer-apps that many people use are based on text: email, SMS, Facebook, Chats… Let’s go over those must-have apps, and see how they perform on this phone. Virtual Keyboard: The HTC wildfire S comes withSwype, a virtual keyboard that is different from the stock Android keyboard. Visually, Swype is a little more visually noisy as each key shows the main character, and the alternate character that can be triggered if the key is pressed for one second or so. Secondly, Swype has a great alternative to tapping: you can literally “swipe” from one letter to the other to write words. This works great as it is more accurate than lifting your finger and tapping again. I’ve tried it on other smartphones as well, and the only difference on this the Wildfire S is that this smartphone is relatively slow. “Slow” is bad for keyboard usage because the responsiveness is slower. This leads to possible frustration as the user can wait for the phone, especially if auto-completion is on, as it adds more processing. It can also lead to more typos, if you type a little faster than the keyboard can handle. Finally, the size of the display also makes it a bit hard to type because the virtual keys are simply smaller. Email: Email is pretty decent as the Email app provided by HTC comes with a good interface, a clear (white) background that is readable outdoors and an email search that is surprisingly missing from a lot of Android devices currently in circulation. I like the fact that it is easy to perform multiple operations such as deleting emails or moving them to another folder, as smartphones are widely used for curation. The only downside of the email is related to the keyboard’s slow responsiveness. It’s fine when performing curation, but typing is better on a bigger and faster phone. Facebook (OK): This phone is running the classic Facebook for Android app, so the experience is not fundamentally different from any other relatively modern Android handset out there. Facebook for Android is usually constrained by the network accesses, but once elements have been downloaded, the phone’s speed does matter to some extent and it could sure use faster performance. Maps: Google Maps remains the best mapping application out there, so in terms of functionality, this is really good. In the real world, the smaller screen makes it a little less nice to use when compared to larger phones. However, I think that people who use it only occasionally won’t mind (or care). Skype (too slow): Skype is available on this phone, but unfortunately, video calls are not supported. However, audio calls are supported, whether it is from Skype to Skype, or Skype to phone via Skype Out. When I tested a call to phone over WiFi, the audio stream was coming in irregularly and it seemed as if this was too much for the phone to handle. I tried several numbers with the same results, and I don’t think that this is a networking issue as other devices worked just fine in the same conditions. Right now, I would not recommend the Wildfire S for Skype calls. Task Killer (needed! ): As an Android phone, this handset is capable of multi-tasking. It’s great, but I strongly recommend installing a “task-killer” application that will let you close apps that you don’t use. These days, it is usually not much of a problem, but on this phone, I *had to* use the Task Killer as having too many apps open made the Wildfire S come to a crawl. The HTC Wildfire S has average photo capabilities, and I would probably not use its photos to print 6x4s unless they were shot on a very sunny day. However, HTC has done a good job at tweaking the camera app so that it delivers bright photos even in relatively dim lighting conditions. You will have to hold the phone very steady, but for the most part, it’s good enough to share photos on social networks. The video capture is very much the same, except a bit worse. Again, it’s OK for sharing a standard definition video (640×480), but the HTC Wildfire S records only at 12FPS, which is well below the 30FPS that most smartphones record at these days. Make sure that you pan the camera very slowly. Also, forget about action shots. Gaming: it is clear that with performance well below the best Android smartphones, the HTC Wildfire S is not a gaming beast. You can forget about casual gaming with Flash games, however, casual Android games like puzzle games or anything that is not graphically demanding is still within reach. For example, Raging Thunder 2’s framerate was going up and down, but I would not consider it to be playable. Angry Birds is playable, but barely. The game can freeze for a fraction of a second here and there, but I could still get some fun out of it. When that happens, try killing all the background apps with one of the “task killer” apps. It did help in my case. Speaker Quality: the speaker is located in the back of the phone, which is a pretty common thing. The volume is not that loud, at least when compared to phones like the Photon 4G, Motorola Atrix, LG Optimus 2X or the iPhone 4. It’s probably OK in a quiet environment, but you can probably forget about it in a car (rear seat of course! ), or a noisier environment where headphones would save the day then. The HTC Wildfire S is not a high-performance smartphone, so I’m not going to spend a lot of time with the benchmarks. I have run a few numbers to give you an idea of how it performs relative to recent smartphones, but the bottom-line is that it won’t break any records – far from it. The Linpack benchmark shows that the raw number-crunching capabilities is 8 times lower than the fastest HTC smartphone (the HTC Sensation) on the market. NeoCore benchmark: despite running at a much lower resolution than high-powered Android smartphones, the HTC Wildfire gets the lowest score (41FPS) that we have seen to date. The battery life can vary widely depending on your use. Because this is not a phone for power users, I will talk about it from a slightly different angle. power users tend to sync with a lot of data, often. Casual users may choose to check emails and social network notifications sparsely. I have noticed that not having real-time email push does save a lot of battery. For instance, After stopping email sync and fully charging the Wildfire S on a Saturday at 2:47pm, the phone still had 36% of battery life on Monday morning at 10am. With email synchronization ON, the battery would most likely had been depleted in 36hrs or less. As usual, I have run a number of tasks and look at the battery depletion. The good news is that the relative power consumption is lower than most modern smartphones. The bad news is that the user experience was also lower. And it makes sense: the phone consume less power because it is equipped with a slower 600Mhz single-core processor. The battery gains are often “paid for” in user experience. Also keep in mind that for slightly demanding tasks like web browsing, a slower processor has to “work” longer, thus using maximum power consumption for a extended period of time, which is ultimately bad for the battery life. Cute: Most people would probably agree that the HTC Wildfire S is a cutie. It’s size and curvy design are eye-catching and it feels great in the hand or in the pocket. It does everything that HTC pitches: sharing photos and updates on social networks, mapping, web browsing… etc. Slow, small screen: However, it doesn’t do it in a comfortable way. Things are slow and web browsing is a bit cramped inside the small screen. As you have seen in the performance section, the Wildfire S is definitely not a race horse and this affects the usability. I would never call it a “superphone” as HTC does. For casual users: But, there is a market for this phone: I would recommend it only to casual users who are primarily attracted to the Wildfire S industrial design. Typically, they would just want to tap into what Android has to offer in terms of apps, browser compatibility and cloud data synchronization (contacts, email…), but who don’t need the edgy performance that bigger handsets do offer. When used in that context (if you remove the performance from the equation), the HTC Wildfire S is a neat-looking phone that turns heads. For more reviews, browse our review section. Official HTC Wildfire S page on HTC.com. I’ve used this Asus EeePC Netbook for about per month now, so I thought I’d give initially my impression of the device to assist future buyers come up with a informed decision. To begin purchasing a netbook had not been my first choice, as I already have a 17″ Toshiba laptop. However recently an associateOrother grad student of mine purchased an Ipad and was showing rid of it. Out of jealousy I made the decision to acquire a tablet too, but after reading about the subject online, got diverted to buying a netbook instead. I desired a traveling with a laptop device(since i have walk or bike to college, mall, downtown etc, and a 17″ laptop is just too big heavy) which to test mail do minor document editing, maybe play a casino game or too. Therefore a netbook seemed a nicer, more productive alternative than a tablet. 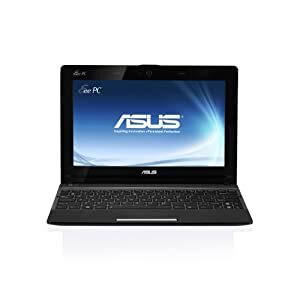 You now have in mind the reason I got myself this permit me to get to the advantages and disadvantages with the Asus netbook. 1.It life. Currently I’m able to squeeze between three or four hours out of the battery. However this lowers because the battery ages. 2. I installed Ubuntu Linux Distro about it and everything worked with no additional work. 3. Asus Manufacturer. Asus is the most reliable company with regards to making laptops. It even tops Apple in reliability(really! google it), even though all laptops are produced by Foxxcon(?). 4. Its light and small. I had created a HP mini back in 2008(that i gave to my sister) and it was a minimum of 35 % more weighty. The Asus could possibly fit into my jacket pocket. I feel that it is easier and much less delicate to transport than a tablet. 5. Colors. I prefer the colour choices that are included with netbook. I went for your blue one. 6. The hardware looks like it’s robust. I’ve watched movies online, while editing office documents inside them for hours 7-10 tabs open in firefox along with the laptop worked well. However I’m aiming to upgrade the total RAM to at the very least 2GB. There have been also issues that Some like about the netbook. The windows may be the one really bad addition to this netbook. Don’t do not understand, I enjoy windows 7, just don’t just like the version installed here. With only 1 GB of RAM, windows begins to get sluggish very quickly rather than Ubuntu. When you are planning to utilize this, I suggest you buy additional RAM to run Windows 7 (even starter) for this machine or do because i did, use a Linux Distro. 2. The Keyboard. They call it the Chiclet keyboard and I feel it is small, for a netbook of the size. When I mentioned earlier I had created a HP mini before and contains a much better, roomier Keyboard than this place. The keys also create a “springy” sound that I don’t like. It reminds me somehow in the old IBM keyboards. It is difficult but eventually one gets utilized to typing about this netbook. 3. Audio input/output. The audio input and output are using it . hole. So I am unable to use my mic whenever I must skype. Along with the internal mic is way too weak, to ensure I must retain the netbook screen alongside my face to talk. Must purchase a mic/earphone in a combo thing. 4. The power plug. I am that this power plug and outlet inside the netbook are simply too fragile and would snap with a bit stress. And since I use this device on my lap so when I’m in bed also, Personally i think I need to be careful to avoid bending the EeePC energy plug. I am hoping this will aid your reader come up with a better decision on the purchase. Family room may be the gateway towards the whole home. Hence you ought to take special care while creating this room. It provides extensive possibility to project outsiders from the residents’ taste, creating abilities, style, personality and taste for art. Most importantly the products laid, color plan and style should result in the room comfortable, practical and helpful. The layout and design should satisfy the requirements and canopy open spaces developing a comfortable and comfy arrangement. Layout You ought to focus on the layout of family room furniture. Seating helps make the main issue with the area. When the room needs to be arranged for big parties it ought to be intimate and comfy. Hence seating ought to be arranged into more compact groups. A sizable room could be split into group seating having a path among. Placing the rear of the couch across the path is underscoring. Longing while watching fire place must have extra-large pillows laying on the ground and ottomans nearby which may be moved around for seating convenience. Placing furniture diagonally adds flavor towards the room. Additionally, it produces an inviting path to seating groups. The diagonal axis ought to be done with sofas and a coffee table. To include subtlety to seating towards the architecture from the room, the rug ought to be aligned using the fire place wall. Placing family room furniture ought to be done smartly in rooms that encourage relaxing and tv watching, Sectional sofas are comfy seating in oriented for the tv together with extra light seating chairs which may be changed to look at TV. You will find certain pivotal viewpoints which are cornerstone of family room plans. Typically those are the fire place, in france they doorways and home windows that provide contemporary cottage look. The primary seats should focus them and secondary seating should concentrate on primary seats. Pairing sofas, furniture, lamps strike an account balance on every side of fire place. A sizable room could be broken into activity zones by rugs. For more compact rooms chairs are a more sensible choice for grouping rather than large sofas to include space and openness within the room. Creating -L- formed seating plans create easy conversation groupings. Selecting furniture Purchasing family room furniture salt lake city needs lots of research in line with the size the area and mode of arrangement. The sofas which were commonly utilized in 70s and 80s were 3 pieces in recent occasions that complement one another. Matching armchairs into modular seating plans allow it to be more fashionable. The form of sofa should suite size of room. All sofas have spring, frame, padding, webbing and cushions. Purchasing individuals made from fabric add class and could be changed inside a couple of years. Cheaper options can be found in very good condition and style. Using the furniture physically is the perfect option to select comfort. Chairs and arm chairs should satisfy the size of room and relaxation from the furniture. Salt Lake City is a hub for creating furniture from our area. There’s a great assortment of comfortable and designer family room furniture Salt Lake City that focus on the neighborhood needs. Reading through the reviews supplied by the writer is among the how to gain information you need on furniture salt lake city. Kitchen products have advanced significantly when it comes to stature and classiness within the the past few years. Your kitchen is no more a location in which the cooking is completed in a remote area using the foods being presented to become offered inside a dining area. Kitchen space is becoming much more integrated using the living regions of a house. Today, generally, your kitchen is really a seamless extension from the dining area without any wall or partition to split up it. Consequently, the furnishings, decor and add-ons inside the kitchen or cooking area also reflect the flavour and comfort and luxury that furnish the relaxation of the home. In case your kitchen looks out to the rear patio or opens out to the garden, you could look at inviting the outside atmosphere in to the kitchen space. Make your Kitchen furniture from an unfussy timber – possibly pine may be a great option. Using its soft colors and characteristic knots, your kitchen area might have an amiable, rustic charm and supply a contented work atmosphere. Fabricate your projects cabinets in pine, therefore making room for ample drawer space in addition to cabinets with adjustable interior shelves. Dont marly the pine character with metal handles. Recessing space for that fingers can give the outside an even, attractive finish. You might like to place marble or granite foundations within the work cabinets for any clean, waterproof counter. Enclose the sink with pine doorways too, to carry on the sleek effect. For that wall models, alternate glass and frosted glass panes using the pine wooden shutters to provide an easy, open and varied effect. Open shelves near the hob that offer space for equipment and elements of standard use might be coloured in vibrant enamel colours or fundamental whitened, to ensure that the top is made more scratch resistant. The sudden splashes of color also relieve the monotony of otherwise uniform pine Kitchen furniture. The dining room table might be a separate unit, in case your kitchen space enables it. Continue the pine theme in natural finish or fresh paint the dining room table and chairs inside a pleasing shade for any different appeal. When the kitchen dimensions don’t invite additional Kitchen furniture, develop a pine L-formed extension to some convenient counter to be used as dining space. In case your kitchen, however has more closeness towards the family room, you can continue the family room atmosphere in to the cooking area by organizing your kitchen area furniture in chic teak or teak veneer. Veneers have the benefit of being just like attractive but less expensive, while permitting the actual material to become a tougher waterproof and moist proof material. Think about a traditional panel design in your cabinet doorways, that your good teak would carry off and away to advantage and also have a teak top dining room table with comfortable, upholstered chairs. For more dark timbers in Kitchen furniture, alternate the discomfort surfaces having a latticed or basket weave surface on your wall cabinets, and combine glass. This adds interest quotient and cheers the area. Wooden Bench is greater than chairs, sitting benches were preferred for the reason that occasions. These benches were that old times’ sofa sets. Wooden benches were furnished with Asian prints in silk along with other soft materials. Dark and deep colors like red-colored, maroon, dark eco-friendly, peacock blues with a little golden, silver and brownish were majorly utilized in the couch covers and in other furnishings within the family room. A little wooden cabinet, situated close to the door leading to another rooms of the home would be a popular Asian antique furniture article for that family room. Small cabinets specifically the Tibetan style cabinets continue to be extremely popular one of the Asian antique furniture. Using their cute and traditional look, they don’t look unnatural within the family room, rather your cabinet tops are frequently accustomed to display decor products, as the closed area can be used for storage needs. Low tables would be the Asian type of tables. Not only for family room tables, the platforms in China along with other Asian nations are low laying tables with floor seating. Obtain a low table made from wood and request the ground seating cushions in Chinese materials and prints to accomplish the decor. Creating Asian antique decor isn’t difficult. One just needs to find the original or reproduction Asian antique furniture and splash within the some Asian print-and-color furnishings. The Wraith Red Edition from Razer Naga Hex has awesome design with an ergonomic curves for reducing hand fatigue when we play games in a long time. Razer Naga Hex Wraith Red Edition gives you high-performance buttons up to 250 clicks per minute, so it’s made the user for attack quicker than enemies can react, necessary to winning in high-pressure battle arenas. This laser gaming mouse has features to keep your personal setting and can be accessed while online wherever you are. This mainstay RAZER technology which a cloud based software is known as the Razer Synapse 2.0. Before you decide to buy the Gaming Mouse, see the customer review about Razer Naga Hex Wraith Red. 6 MOBA/action-RPG optimized mechanical thumb buttons. Razer Naga Hex Wraith Red Edition requires 100MB-free hard disk space with internet connection. Compatible for PC with OS Windows® 7 / Windows Vista® / Windows® XP (32-bit). For Mac, this razer requires Mac OS X v10.6-10.7 and above.